For many, Labor Day means a break from work, an opportunity to see family and to grill out. 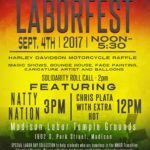 Another Madison tradition?Laborfest on Madison Labor Temple grounds. Labor leaders, union members and supporters of labor from the area gathered yesterday for the annual festival. 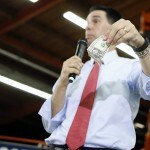 WORT student reporter Casey McCabe was there. 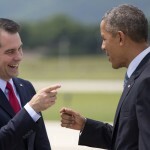 MADISON (WORT) –On Labor Day, President Barack Obama argued for the continued importance of labor unions and joked about the 2016 GOP presidential hopefuls, including Governor Scott Walker. Darien Lamen reports. 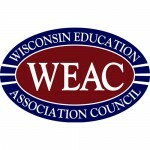 Aaron Eick, Vice President of Racine Education Association, joins Buzz host Tony Castaneda to talk about the recent lobbying effort by the Racine Education Association and the Racine Educational Assistants Association to retain a role in shaping teaching and learning conditions in the Employee Handbook. 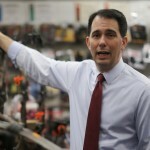 MADISON (WORT) — Wisconsin is slated to become the latest state to pass controversial right-to-work legislation. 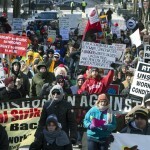 Dylan Brogan recaps Wisconsin’s swift and often bitter debate over right-to-work from start to finish.